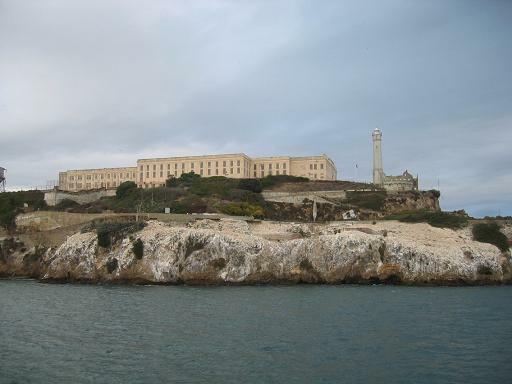 On this date in 1963, the prison they called “The Rock” was closed by the Department of Justice. 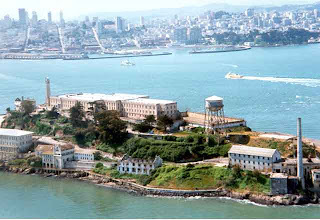 The federal penitentiary at Alcatraz opened in 1934. At its peak, it held over 200 inmates. Some of its more famous residents include Al Capone, George “Machine Gun” Kelly, and Robert “Birdman” Stroud. 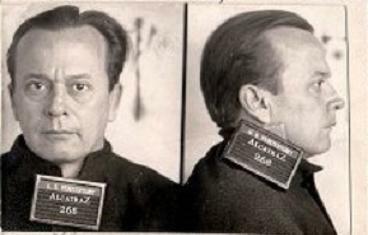 On this date in 1939, five inmates, including Arthur “Doc” Barker of the infamous Barker-Karpis gang, attempted to escape from the federal prison on Alcatraz Island. The men escaped from the cell house after sawing and bending the bars on a window. They made their way to the shoreline and attempted to escape on a makeshift raft. When they were discovered, three of the inmates, William Martin, Henri Young, and Rufus McCain surrendered. Barker and inmate Dale Stamphill were shot by guards. Barker died later from his wounds. 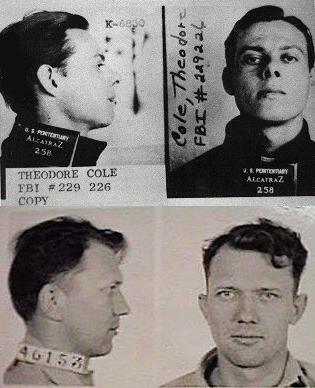 On this day in 1937, Theodore Cole and Ralph Roe decided they needed a change of scenery. 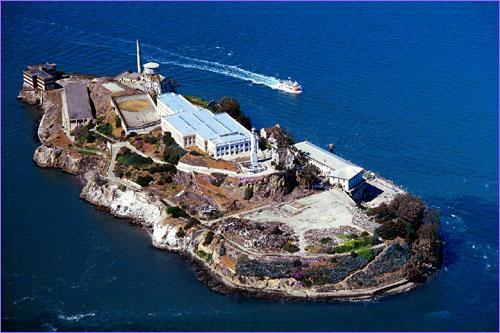 The two Oklahomans were inmates at the infamous federal prison on Alcatraz Island. Over a long period of time, they had filed through the bars on one of the windows in the prison mat shop, where they worked. They waited for a stormy day, when the guards in the towers would be less likely to see them leave the prison. When the time was right, they crawled through the window and disappeared. When prison officials discovered that the men were missing, they conducted an exhaustive search of the island, but there was no sign of the two men. It’s believed that the men tried to swim to shore using empty five gallon oil cans as floatation devices, and that the current – stronger than usual due to the storm – carried them out to sea, where they drowned. 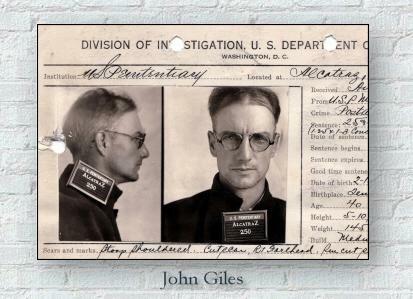 On this date in 1945, inmate John Giles escaped from the federal prison at Alcatraz. Giles, a convicted train robber, worked on the prison’s dock loading and unloading military uniforms that were cleaned in the prison laundry. Over a period of time, Giles managed to steal a complete uniform, which he hid from guards. While dressed in the uniform, he boarded a ferry carrying a forged pass and left the island, headed for freedom. Or so he thought. Luck and math weren’t working in Giles’s favor. The guards at Alcatraz soon realized they were one inmate short on their dock detail. And the senior officer on the ferry saw that he had somehow picked up an extra soldier. When the ferry arrived at its destination, nearby Angel Island (not San Francisco, as Giles had hoped), Giles stepped off the boat and into the hands of Alcatraz guards.